News junkies, rejoice. 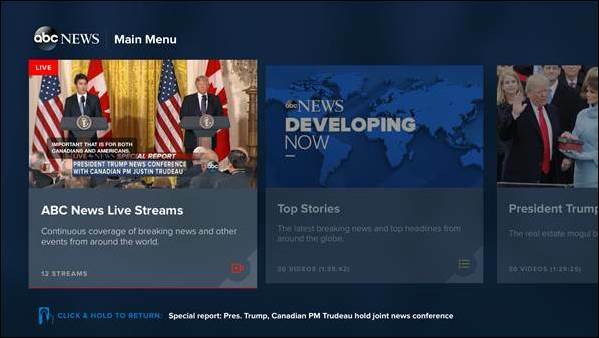 ABC News is rolling out an updated Apple TV application, live today, which makes the news division the first to offer a simultaneous multi-stream viewing experience in its tvOS application. 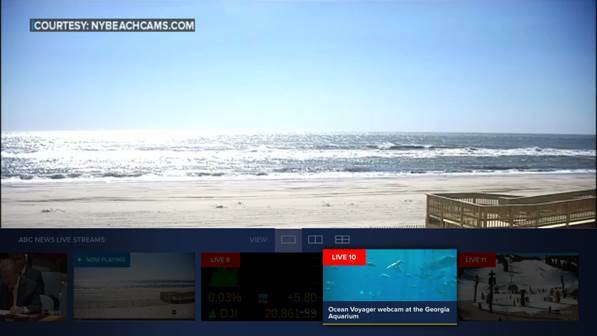 At launch, there are a dozen different live streams users can choose from, presented in a row as the bottom of the screen. These can be placed in either a dual-screen mode or even a quad-screen view, depending on your preferences. It’s somewhat odd to see a news app pushing forward with a feature like this. Multiple live streams is something you’d normally associate with sports apps – like the MLB at Bat Apple TV app, for example, which lets viewers watch games side-by-side. Fox Sports and Canal in France also offer a similar feature. ABC News, however, sees the chance to use multi-streams as a way to keep up with the massive amount of news content that’s on the web daily, including via social platforms like Facebook and Twitter. It almost seems like a response to these platforms’ move into live streaming content as of late, and comes ahead of Twitter’s plans to open up its own live streaming API to media companies. When you first launch the updated ABC News app, you’ll be shown the top news stories of the day in the main menu. To use the new feature, you’ll click into the “Live Streams” section instead of scrolling through the other content. From here, you’ll be presented with an interface where you can scroll through the available streams, then click the ones you want to watch in the new, multi-window format. 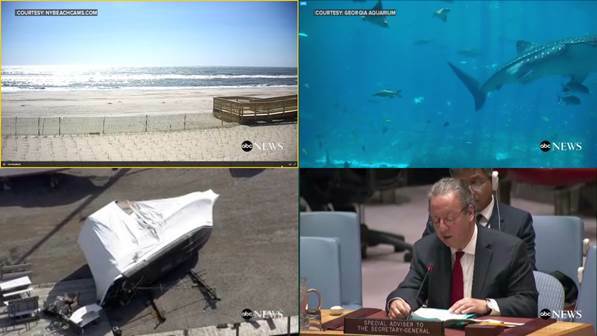 The live streams are a mix of the live content that’s produced by the ABC News team, and supplemented with content from ABC partners and affiliates. The streams will include breaking news, political news, lifestyle and entertainment content, the organization says. That means things like pool shots (White House press pool, e.g., UN forums, state trips, etc. ), streams from third-party sources, and produced streams from field producers on the ABC News team. These streams are not exclusive to Apple TV, to be clear: they are available on other platforms as well, including the ABC News website, its mobile apps, Roku, and Xbox One. ABC News has offered the ability to select from multiple live streams on its various apps since 2012, starting with the iPad app. But what’s new with the Apple TV app is the ability to actually watch 2 or 4 streams side-by-side. The multi-stream interface supports both a side-by-side view and a quad-screen view. With more people leaving behind traditional pay television, like cable TV and satellite, many of the top news networks are having to find new means of distribution – including through streaming TV services and standalone news apps. Having a unique feature like this could make ABC’s app more appealing to those in the market for a streaming news option for their big screen. But it will have to compete against the now numerous streaming TV services like Sling, Vue, DirecTV NOW and others, which all offer cable news stations of some sort in their lineup. If you already have the ABC News app installed on your Apple TV, you’ll receive the feature automatically through an app update. Or you can download it directly from the Apple TV App Store.